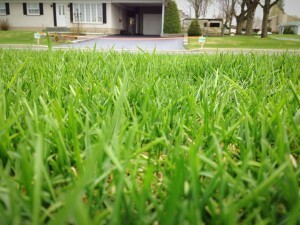 Country Green Turf Farms offers the highest quality sod in Everett. We do this by combining seeds that are meticulously selected and cared for with soil that is regularly maintained with fumigation. The result is a weed-free sod that is lush, healthy, and ready to be transferred to your lot. We take soil preparation very seriously. It is one of the major keys to great sod and it makes us stand out above the rest. While fumigating our fields between planting new sod takes more time and expense, it rids the soil of weed seeds, tubers, rhizomes, stolons, and other plant pathogens that could lower the quality of our sod. As a locally-owned, multi-generational family business, we take great pride in the quality of the sod we sell to our Everett customers. We are happy to go the extra length to provide quality products. 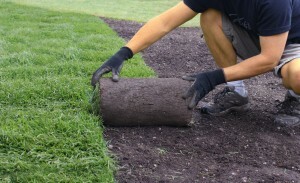 That is how we have earned our reputation as a trusted source of quality sod in Everett and the surrounding areas. We even include aftercare fertilizer specifically formulated to establish your freshly installed sod. We want to see your grass thrive and we are always here to support you with answers to your questions or concerns. We offer multiple options of sod mixtures so you can increase the success of your lawn by selecting the right one for your conditions. We have a Perfect Blend Mixture that is 20% Kentucky Bluegrass, 20% Hard Fescue, and 60% Perennial Ryegrass. These species are proven to thrive in the Pacific Northwest and are highly adaptable to different growing conditions. It is a wonderful mix for most home lawns, parks, and business landscaping. Our Green Sport Mixture is 25% Kentucky Bluegrass and 75% Perennial Ryegrass. This hardy turf is designs for playgrounds, ball fields, golf courses, and sports fields. This sod is reliant as it has high recuperative capabilities. It is grown without the use of plastic sod netting and grows in a minimum of 85% sand soil to eliminate rooting interface and root zone layering concerns. Our Shade Tolerant Turf Mixture is made for spaces that do not see a full day of sunlight. It is comprised of 25% Hard Fescue, 30% Kentucky Bluegrass, 20% Perennial Ryegrass, and 25% Chewing Fescue. Not only does it tolerate less sunlight, this sod also needs less fertilizer and watering. Talk to our sod professionals about the space you have and the usage you have planned for it. We can help you select the right sod for your home, business, or recreational field. Our professional sod installers have the equipment, experience, and know-how to quickly and flawlessly install your sod in Everett. If you are starting turfgrass for a large space, our big roll sod can save you money and time with our heavy duty equipment and fast installation. Get your lawn or turfgrass started with our high-quality sod in Everett and the surrounding cities. Contact us today!